Raw’s 1000 episode was one of the best, WWE show’s we have seen in a while. They gave us returning legends like Vader, Sid Vicious, Diamond Dallas Page, Roddy Piper, and many more. But the biggest return was the reunion between the leaders of the Attitude Era, Degeneration X (DX). 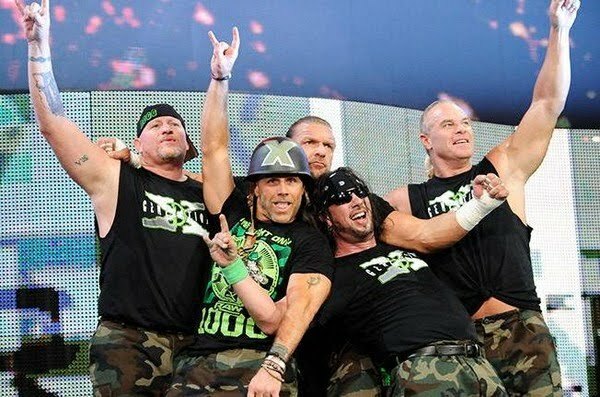 When they announce a DX reunion, for the 1000 episode, I thought we were in store for another Triple H & Shawn Michaels segment, but when I saw “The Road Dog” Jesse James, “Badass” Billy Gun and X-Pac in that jeep, I went crazy. This group was one of the greatest Stables of all-time; they helped the WWE beat WCW during the Monday Night Wars. Those three guys had a lot to do with their success as a group and they created memorable moments for the fans of the WWE. But there was one member left out, Chyna. I understand that her career choice has made her an outcast, but if she would have walkout with the rest of the group, I know the crowed would have gone bananas. The Undertaker also made a special appearance on the 1000 episode of Raw. He reunited with his brother Kane to take on the new and improve Job Squad, Curti Hawkins, Tyler Reks, Hunico, Drew Mcintyre, Camacho, and the leader of this band of misfits, was Jinder Mahal. I guess Mahal thought they can make a name for themselves on this special night but his plan back fired. They walked into the ring with Brothers of Destruction and became victims. We also saw Trish Stratus in the locker room area teaching Tripe H, Yoga. It is so funny how DDP also has a Yoga tape out, but I don’t see WWE promoting that. I am just saying, it another observation of mine. Heath Slater also challenges any legends in the back to a match, and who answers his challenge one of the best Divas of all times, Lita. But Lita hired herself a little protection, she hired the APA (John Bradshaw Lakefield & Ron Simmons). I really don’t agree with these humiliating matches that Slater is being forced to compete in; I guess this is the pay back for making the WWE look bad back in 2011. What’s up with our new Raw GM, AJ? I guess the WWE didn’t have anyone in particular to place in this role, so they gave it to any random Diva! The show was good and if I have to rate it I would give it an 8.5. I would had loved to see more legends return, like Batista, Goldberg, and Ric Flair. 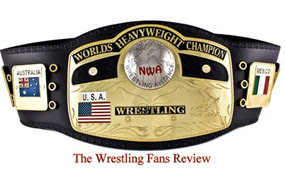 The reason why I didn’t rate it any higher was because Stone Clod Steve Austin couldn’t make an appearance. The reason why Austin couldn’t make it to the show was because he underwent a major knee surgery, three weeks ago. He was missed and I actually wanted Austin & Vince McMahon in the ring for another memorable moment. I hope the WWE keeps the momentum going and their show gets better week after week.